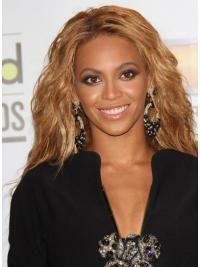 The wig is a gorgeously curly wig with a natural and modern appearance. This wig has succeeded in creating a truly, realistic curly ladies wig. It will allow you to walk with confidence and help you on your journey to complete fabulousness! 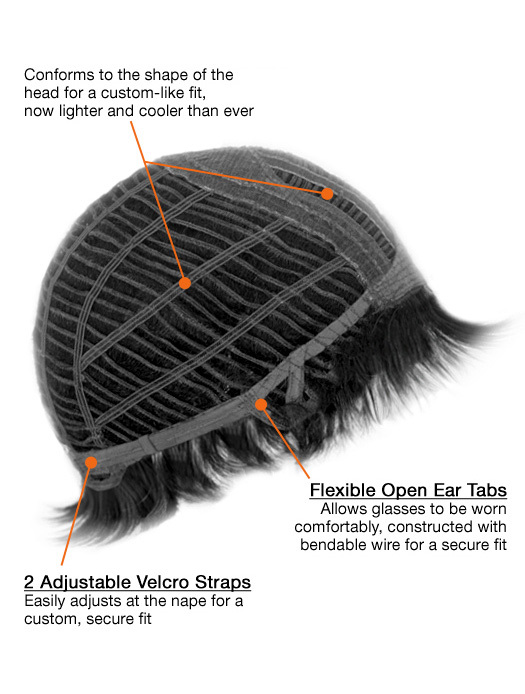 The TOP & CROWN area of this wig has a closed, flower net material section. This has been expertly designed to allow the volume at this area to stay with you throughout the day, without dropping. 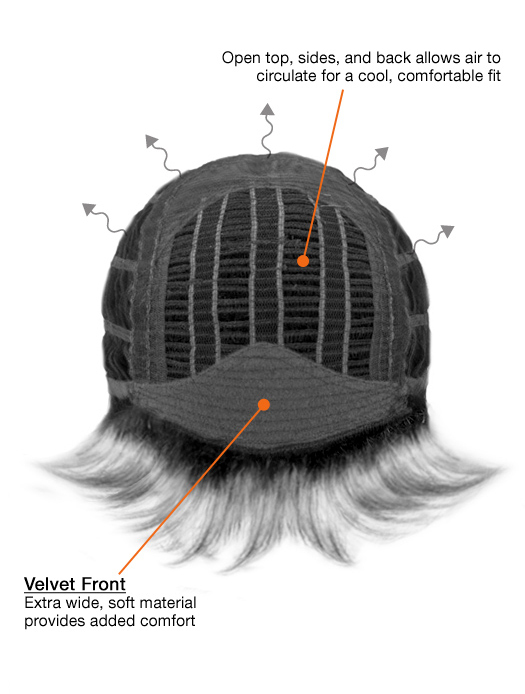 There is also a soft FINISHING strip at the edge of the wig, so that it will sit comfortably against your skin. To ensure that the wig is airy, the main body has OPEN WEFTS. This means that the hair has been stitched by machine onto very thin strips of elasticated material. This design ensures that the wig is cool & lightweight.